75th and Sedgwick: Finding Flats. Wow! Love the Q. Looks awesome and has a huge impact! AND you are officially decorating around a TV... one of the hardest things in the world! Bravo! Yes, living near cousins is the best thing ever. We are both so lucky for that! My cousins and I have been trying to have a craft night for about 4 months now, so this is inspiration. Melis and Emily: we gotta get on it. They are making us look bad! So with all this non-boot wearing weather happening right now, I am on the hunt for some affordable flats. I thought I'd share what my eyes are looking at. 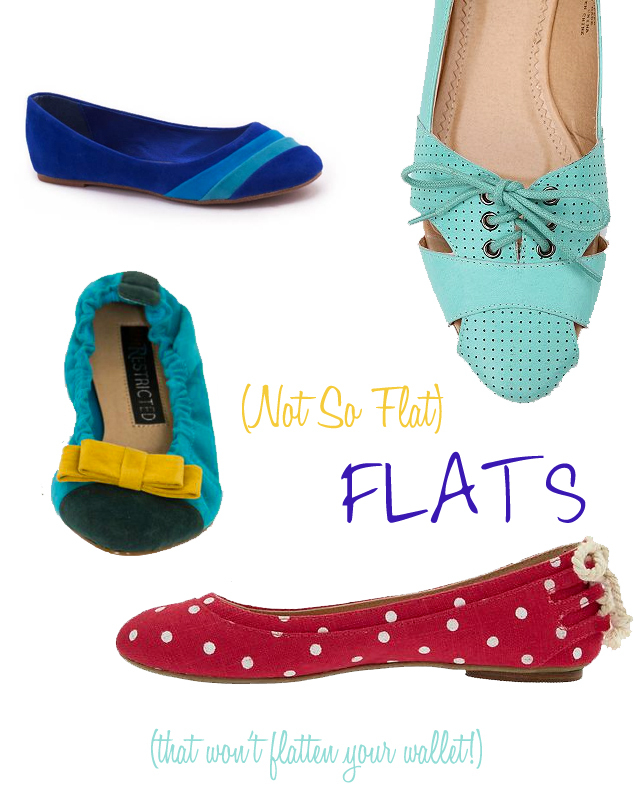 Since we recently discussed this topic, but our challenge was to find flats OTHER THAN ballet flats, they're my focus right now (I happen to love the achievement of both femininity and comfort with a good ol' ballet!). Check out the COLOR, D! Some of these are decidedly summer-y, but I couldn't resist! Speaking of warm weather, I want these, too! Have you thought about Spring clothes yet? Am I crazy? So excited we're almost back to flats season! Love these examples as a way to add color (a constant challenge for me! )!